In the United States, binary options trading is not very popular in terms of legislation. There are only a handful of brokers (about 3), who can legally provide binary options trading in the US. One of the companies providing binary options trading in America is NADEX (Northern American Derivatives Exchange) – a company founded in 2004 and regulated by the CFTC since the beginning. In Europe, there are hundreds of brokers, whether regulated or not. What a difference, right? In the NYSE, which is American Stock Exchange based in New York – not broker – they decided to leave their traders trade binary options as well. Binary options that they offer, however, are named and even work differently. It’s quite complicated. Certainly more complex than the European binary options we know. Read on. Unlike classical binary options, where profit depends on the amount invested (always invested amount, multiplied by the profit offered) for these options the earnings are always the same: $100. The earning depends on what price we buy an option on – and this price fluctuates. Expiration of these options doesn’t even come close to the ones which we already discussed. There’s no hourly expiration date and the 60-second expiration time is something NYSE would take as a joke I’d say. All ByRD trades expire on Friday at the end of the trading day – however, you can select expiration date not only for the current week but also for the next weeks. So – let’s say we buy a put option at the price of $25, and it ends up in-the-money, our net profit will be equal to $75. The rules for determining the price of the option differ, and even to me, it is not clear exactly how the price was calculated. The concept will probably be similar to Ladder options associated with One Touch options. Byrd options are divided into two types. Just like already known binary options can either have option CALL / PUT to speculate on the increase / decrease in the price of the underlying asset, in this kind of trading, you’ll find the so called Finish High ByRDSM and Finish Low ByRDSM. The difference between them is the same as the difference between the CALL and PUT options. Do you find this concept interesting? The concept similar to ByRD options had once been tried to be established by a brokerage company Anyoption, which is known for its exotic binary options. These options, which were available with a broker Anyoption for few years, were called 0-100 options. As the name already suggests, the outcome of trade would always be either $0 profit, or $100 profit. These options, however, were (and I do not know why) discarded. Currently, their range of exotic options consists of Bubble options, dynamic options, and Option+. 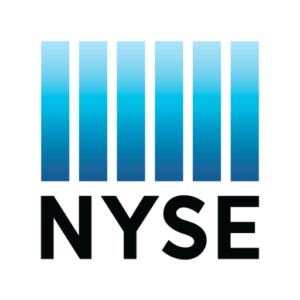 More information can be found on the official website of the NYSE.